WhenToHelp allows you to create multiple shifts per day for a helper, but tries to prevent you from "doublebooking" helpers to more than one shift at the same time. 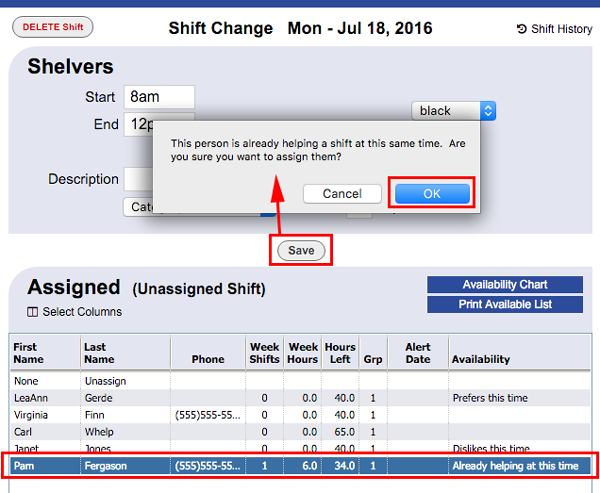 You cannot ADD an assigned shift that will overlap that helper's current shift but you can EDIT a shift and force it to double book. 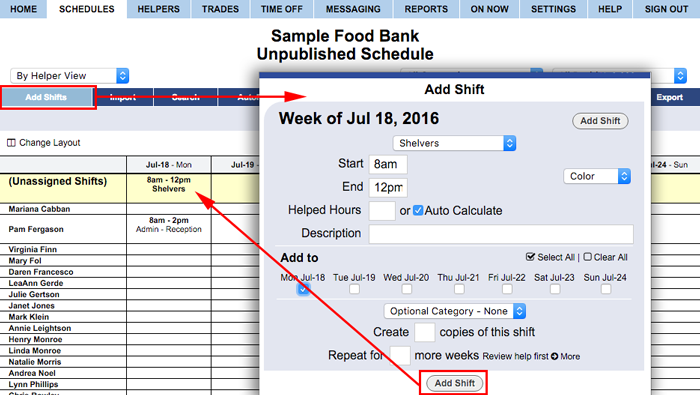 Click the unassigned shift in the schedule to open the Quick Shift EDIT layer.